Due to an overwhelming demand for our program, we have turned the registration link off and have started a waiting list. 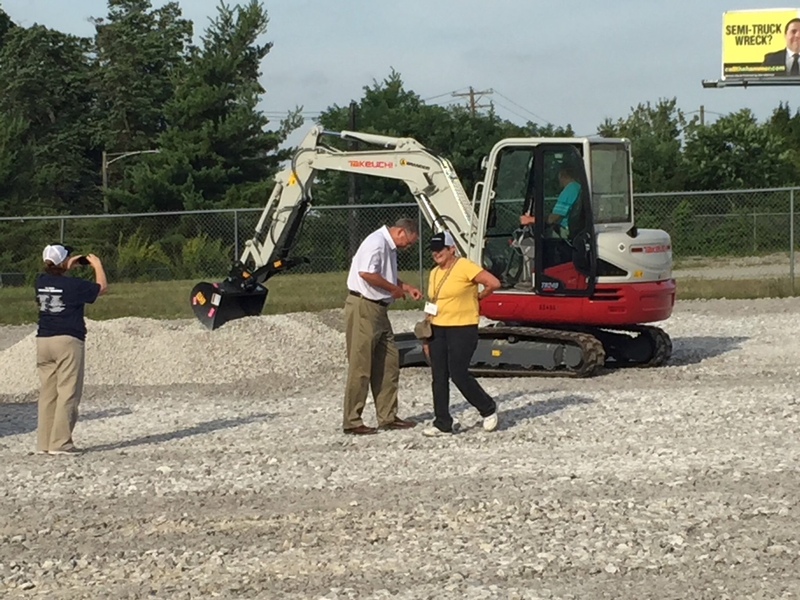 Please contact Gaye Horton (gaye@kycsa.org) at the Kentucky Crushed Stone Association to be added to our waiting list. We do apologize for the inconvenience. This program is designed for Science teachers who teach Elementary, Middle and High Schools (3-12). However, we gladly accept Trade School Teachers, and other teachers who would like to learn more about rocks and minerals. Drone footage of the quarry tour. The workshop will focus on the identification, economic value, and the uses of a variety of rocks and earth materials in modern society. Materials, lesson plans, handouts, and classroom resources especially science / social studies education programs and aligned to 2015 Kentucky State Standards. Registration will be limited to 25 participants. Hands-on sessions include bird seed mining, mineral identification, and other novel approaches to teaching mining procedures, economics and conservation of resources. 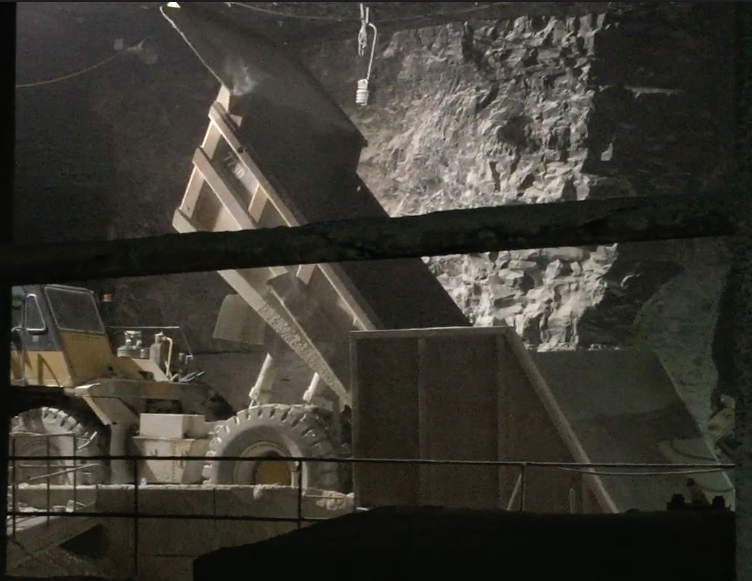 Tour an active underground aggregate mine operation. On-site instruction will be provided concerning extraction technology, quality control, and how the industry addresses the environmental implications of aggregate mining. 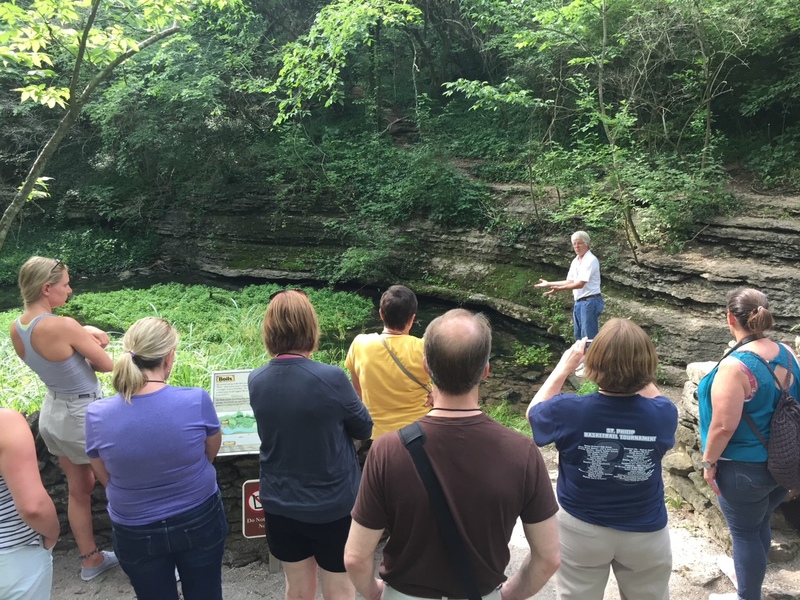 Expert instructors include geologists (Kentucky Geology Survey), engineers, college professors, retired teachers, and crushed stone industry representatives. No Costs to Teachers or their School System! If you need any auxiliary aids or services with regard to a disability or have special dietary needs, please call Gaye or Nick at the Kentucky Crushed Stone Association office 502-223-2379. Teachers must make their own reservations! 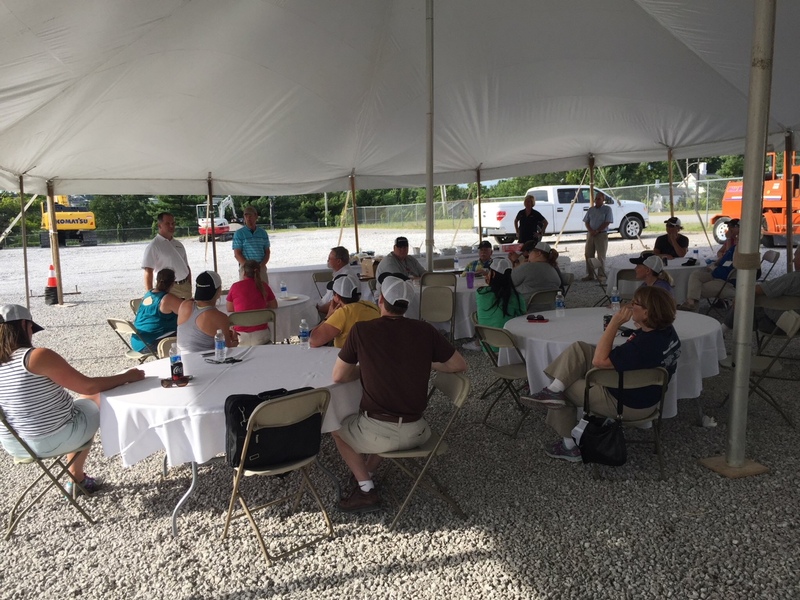 Be sure to mention that you are with the Kentucky Crushed Stone Association Educational Workshop. A hundred feet or so below the surface of the earth, Deborah Hensley was putting together a lesson plan. 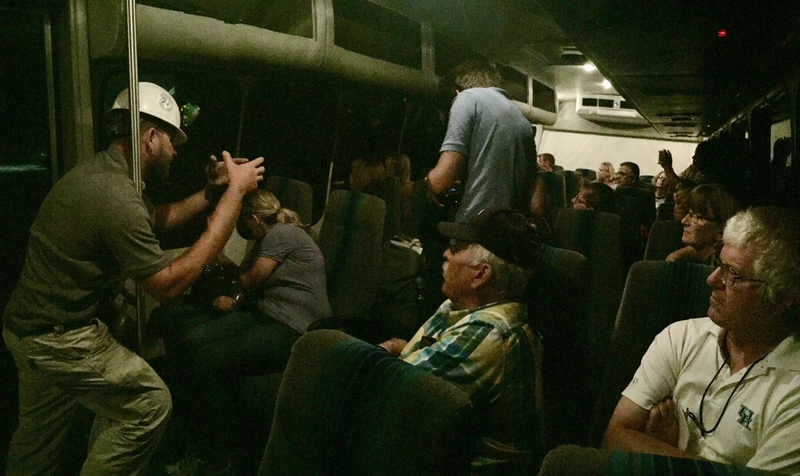 Hensley, an 8th-grade science teacher at Adair County Middle School, was on a bus with 20 or so fellow teachers who were getting a guided tour of a limestone mine as part of a teachers’ workshop conducted by the Kentucky Crushed Stone Association (KCSA). 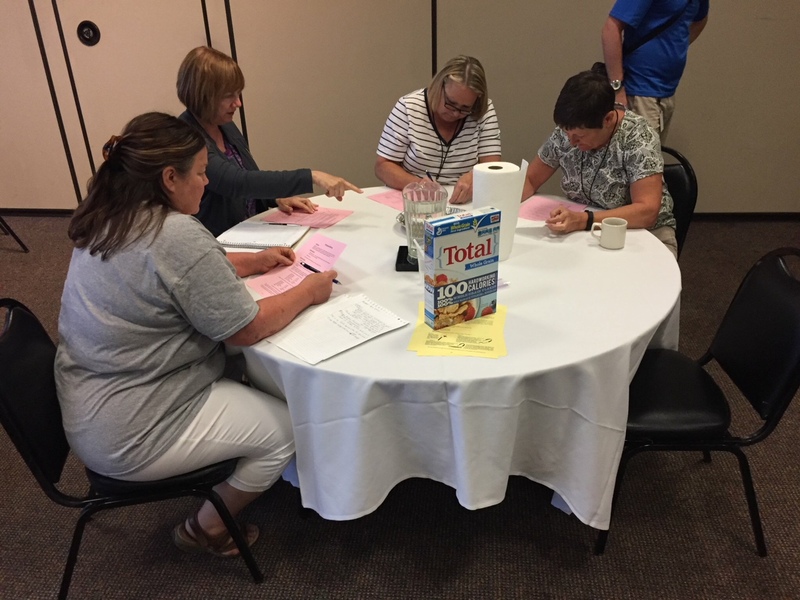 The experience was one of several from the free two-day workshop that she said she can put to good use in her classroom. Click here to read the full article on the workshop.